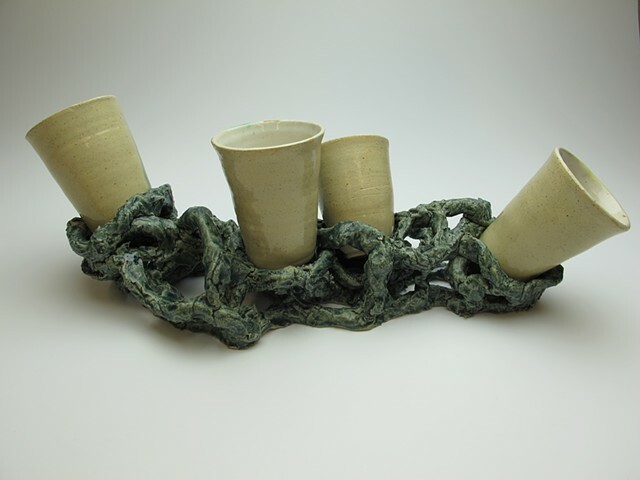 Create a set of five or six vessels that have a home, or fit into something. The home may be ceramic or another material found or made. Things to consider during the whole process: shrinkage, handles, weight, and design.